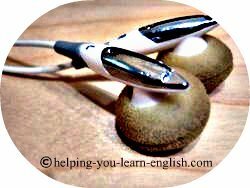 Improving your English listening comprehension has never been easier. 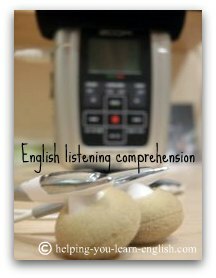 Are you looking for ways to improve your English listening comprehension? Well you are very lucky, because here you will do exactly that. Take a moment to read my approach for improving your listening skills. Click here and a new window will open Don’t worry. I will wait here for you. Before we listen to Carmen Colombo’s story entitled “Creature Talk” I want you to ask yourself a question; are you an optimistic or pessimistic person? This is sometimes a difficult question to answer. I believe that I am optimistic and positive but I worry frequently. I am not sure which is worse; being an optimistic worrier or a confident pessimist. This is something to think about because if you are an optimist you are much more likely to achieve your goals; like improving your English listening comprehension. Ok, now listen to it again. Repeat it a couple of times. It’s good to listen to things without reading. It trains your ear and prepares you for real life English interactions. Click here to open the transcript in a new window. Now I want you to try reading the story aloud with me. It’s time to strengthen your English muscles. Just like going to the gym, your English muscles need to get stronger. When you start to speak English your mouth is not used to forming the words and it can be difficult. What you need to do is give your mouth opportunities to practice and get used to the new movements. Here is something to think about regarding Carmen’s story. Are you your own Professor Kevin? Have you ever treated yourself like Professor Kevin treats his students? Are you sometimes your own worst enemy? Maybe you don’t call yourself stupid (maybe you do) or verbally abuse yourself but it is interesting to realize the things that you tell yourself in you mind. What do you tell yourself when you think about your English listening comprehension goals? Are you positive or negative about your ability to learn English? Significantly improving your English listening comprehension takes a great deal of effort and dedication, but all that work can be crushed if you tell yourself “Professor Kevin” thoughts. What are Professor Kevin thoughts? - You can’t be creative and learn English. - Dreaming about being bilingual is stupid. You’ll never be bilingual. - You’re pathetic...you make so many mistakes. Just writing those makes me uncomfortable. Why? Because I know that some of those thoughts are in your mind. Stop telling yourself these horrible things. Look at all the negative words:can't, stupid, never, pathetic...it makes me sad to think that any of you might me thinking something remotely similar. You need to replace these negative thoughts with encouraging and positive ones. In order to succeed and be a happier person, you need to silence the inner “professor Kevin” and increase the positive self talk. Repeat the following to yourself! I know a lot of English. I need to strengthen this one area. No one can be perfect everyday. Sometimes I’m tired or it’s noisy so I need to give myself a break. I have learnt so much in the last couple months. Focus on what you know rather than what you don’t know. Your English listening comprehension is wonderful.